Hey look kids, there’s Big Ben and there’s parliament… and there’s Circuitous launching on Early Access! It does seem like we’ve been stuck in that famous traffic roundabout with the Griswolds for the last two years creating Circuitous, The Owl Prophecy’s very first venture into game development. But, finally with grit and determination... and maybe just a little bit of tears and rocking senselessly in the corner at times, we’ve made it to early access and people are finally playing our game. And boy does that feel good! What seemed like such a simple concept to two naïve creatives become a project that pushed the limits of our skill sets and really challenged us to think differently when it came to tackling problems. Whether it was resource issues or bugs that seemed too complex to crack, the last few years have left a few more gray hairs to say the least. However, after much perseverance and creative thinking, we are proud to present Circuitous, a simple game with addictive tendencies that is sure to bring out the nerd rage in the best of our players. The challenge is thus… navigate your player to the center of the circle while avoiding fast moving and stationary obstacles. Seems easy enough, especially in the beginning, but make your way through the levels, and you’ll soon wonder if you can even fit your player through the tiny gaps in the obstacles as they whiz by with ever increasing speed (we promise you can). There are currently six design themes that you can dress the game up in for each level. We also plan on launching a way for players to design their own levels and challenge other players with their custom created content. Our goal in early access is to gather data from our player base and use that knowledge to tweak the gameplay and difficulty until it’s just right. We invite you to be part of creating something fantastic by downloading Circuitous on Steam today and providing our team with your much-appreciated feedback. 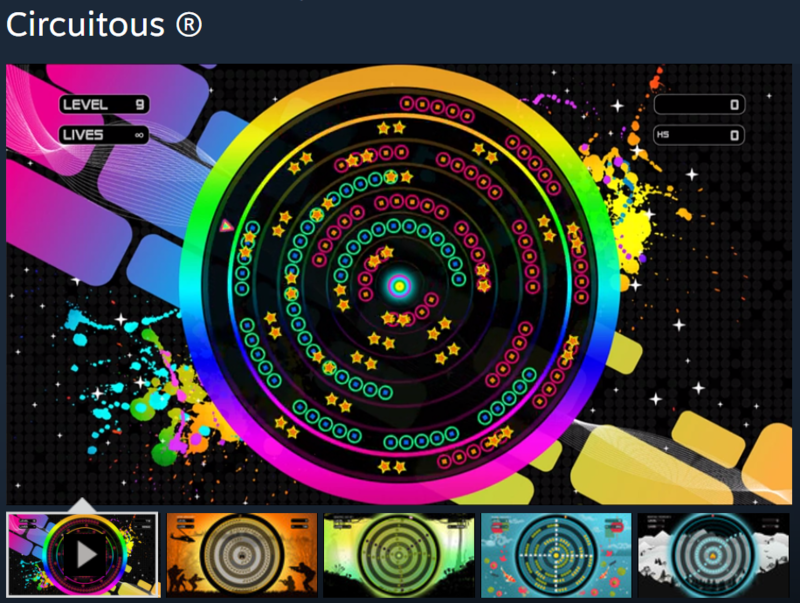 Get Circuitous on Steam for a limited time for only 99 cents.